Here's a couple of before and after projects I've done lately. 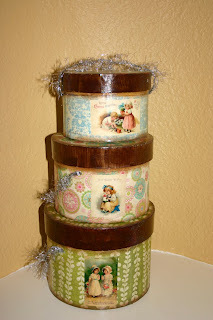 I found these Christmas nesting boxes on sale and altered them for Easter! 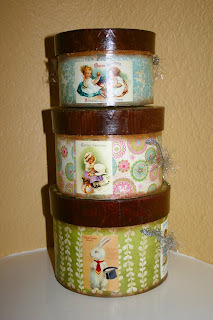 I used different vintage Easter images around each box and replaced the ribbon handles with silver tinsel. They've been finished with a sheer but shimmery sealer. These boxes are now available on my Ebay. 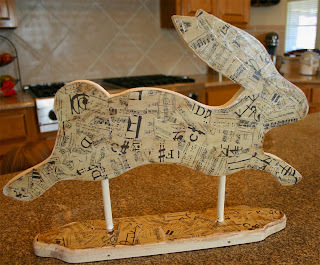 A wooden bunny gets a makeover... 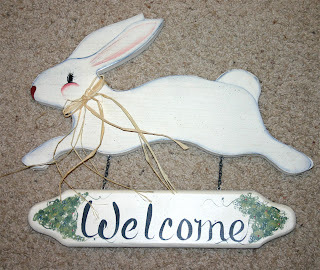 I repurposed the hanging "Welcome" sign to be the base of the bunny so he could stand up. 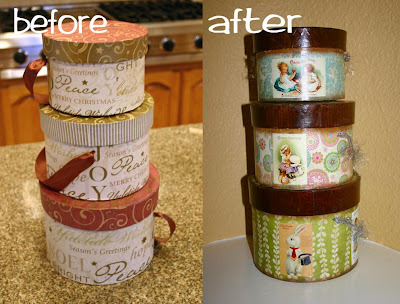 I handpainted one side and decoupaged the other. This project has also been finished with a sheer glittery sealer. 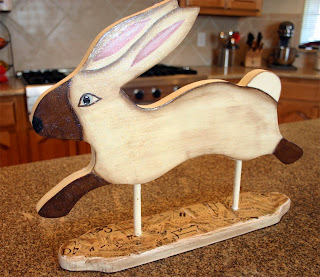 Be sure to check out lots more inspiring Easter projects over at Room to Inspire's Link Party and Thrifty Decor Chicks Before & After Party!